We have had a couple of really nice days, and it feels like spring 🙂 It’s still cold outside, but the crocus are out, and it’s time to start the garden spring cleaning. 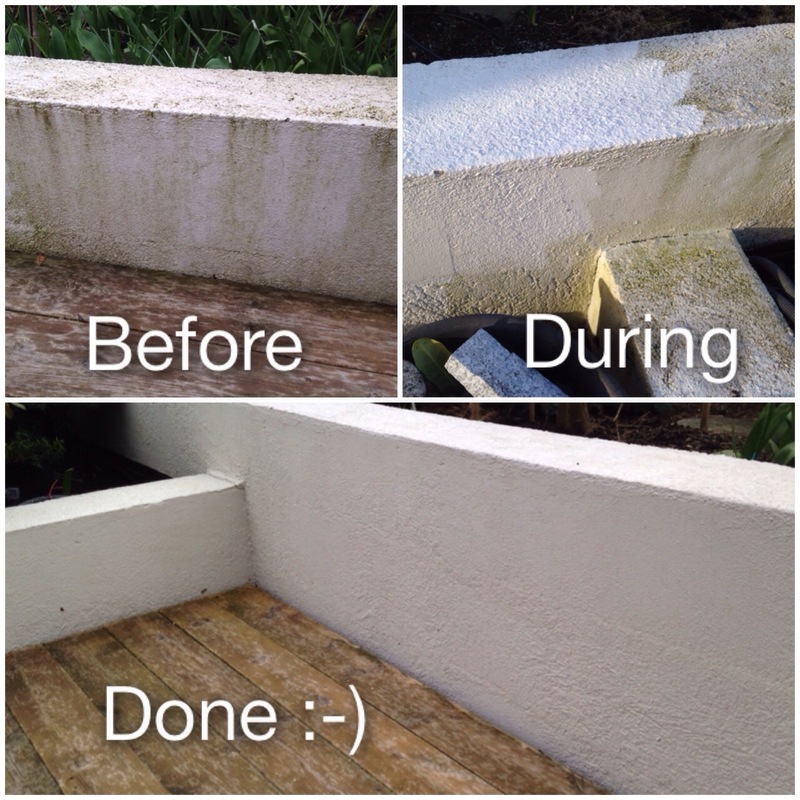 So out came the pressure washer, and now it looks much, much better! If the weather warms up a little, I might even be able to freshen the edge up with a lick of paint. Looks better, wouldn’t you say? I would trade my crafty skill for your craftsmen skills for one weekend! I should do my porch, its bad. Your patio will look very nice. I hope it will, it’s gonna be a bit of work, I start tomorrow 😉 it desperately needs a lick of oil, so I need to clean it first. Hope so, too. Just wondering how old are you? Not trying to sound creepy. I’m a wee bit on the “grown up” side 🙂 then again, they do say, age is just a number,and it’s how old you are on the inside that count. Excellent! I love seeing such radical results!